Google has long been rumored to release an updated version of its popular Nexus 7 tablet at this year’s I/O, however, specific spec details for this re-hashed tablet have mostly been scarce. Last night, details may have emerged thanks to KGI Securities analyst Ming-Chi Kuo. According to Kuo, the new Nexus 7 will indeed arrive at I/O next week along with a set of impressive specs, while retaining its ultra-affordable price tag. The new Nexus 7 will once again be made by Asus (no surprise there), run Android 4.3, a Snapdragon S4 Pro quad-core processor (APQ8064), sport a 7″ LTPS high-res display (1920×1200), with a 5MP rear camera, HD front camera, NFC, WiFi, 4,000mAh battery, and wireless charging. 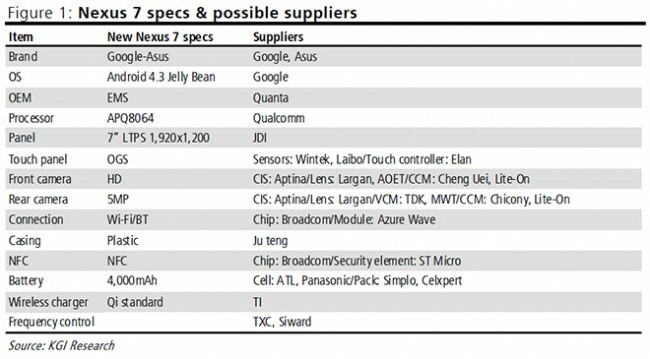 The differences from this rumored version to the current are the major bump in screen resolution (old version is 1280×800), move from NVIDIA’s Tegra 3 to Qualcomm’s Snapdragon S4 Pro, rear camera (since the original N7 didn’t have a rear camera), slightly smaller battery, and wireless charging built in. We’re also expecting the side bezel to shrink, so that the device can keep a similar shape and design while offering more screen real estate. This new Nexus 7 should stick close to the current $199 price for the base model. Does this sound like the new Nexus 7 you were all waiting for? The processor may seem somewhat ancient for mobile times, having been included in devices like the Nexus 4 last year, but the S4 Pro is no slouch and there should be plenty of power. 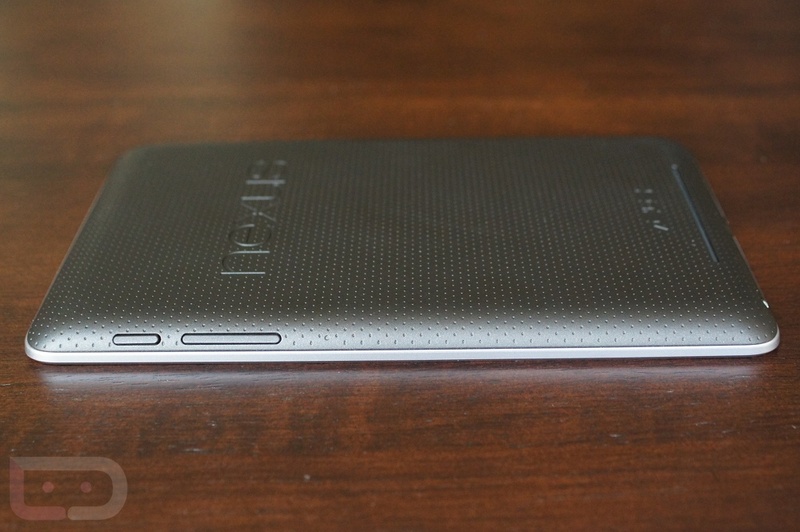 Friday Poll: What's One Feature Update You Would Like to See Most on the Nexus 7?